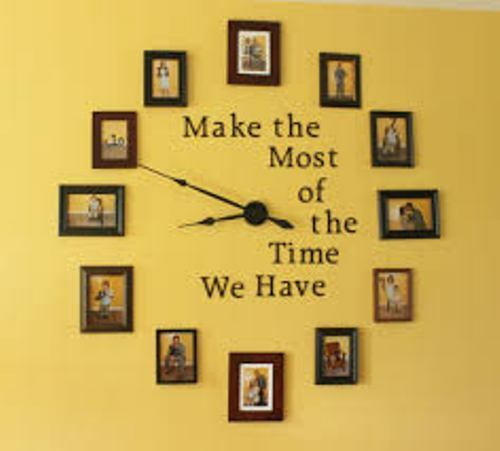 Look the following post below if you want to be informed with the ideas on how to arrange pictures around a clock. You can evoke a unique look on the wall by having a clock as the focal point. It can be spotted inside a bedroom, living room or even dining room. Coordinate the style of a clock with the current decoration. The pictures that you set around the clock will increase the style. Use your imagination to create a wonderful look on the wall. 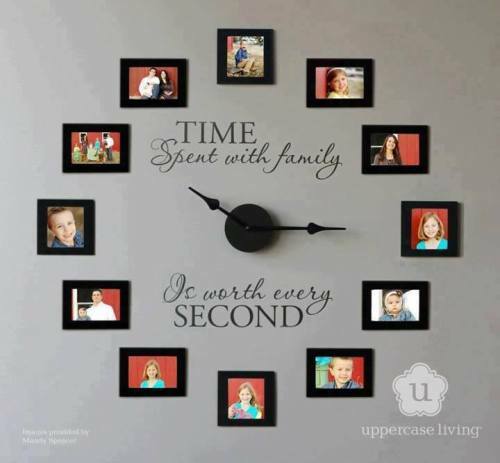 Here are several ideas for arranging the pictures around a clock. The first thing that you can do is deciding the room where you will put a clock. As I have stated before, a clock can be set on the living room, bedroom, kitchen or even dining room wall. 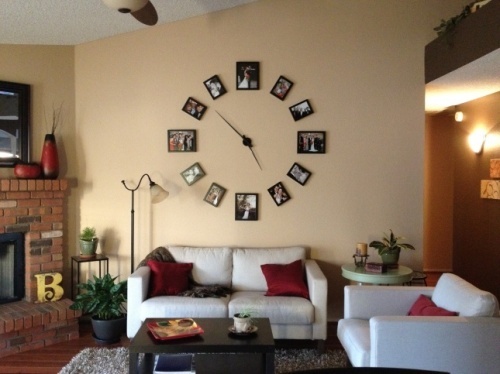 If you have a family room, a clock is also needed. Now decide the focal point in the room. It is okay to use the clock as the bold statement while the pictures serve as the accent. Place the clock on the unadorned wall so that it serves as the center. You can hang four pictures in similar size at the top, bottom and sides of a clock. Check ideas on how to arrange family pictures on a large wall here. If you have a modern and edgy living room design, put a geometric styled clock at the wall. 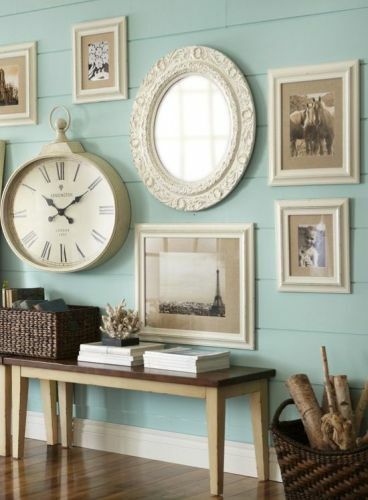 You can put several pictures in different shapes of frames like round, square and rectangular on the wall. It creates a sophisticated look on the wall. 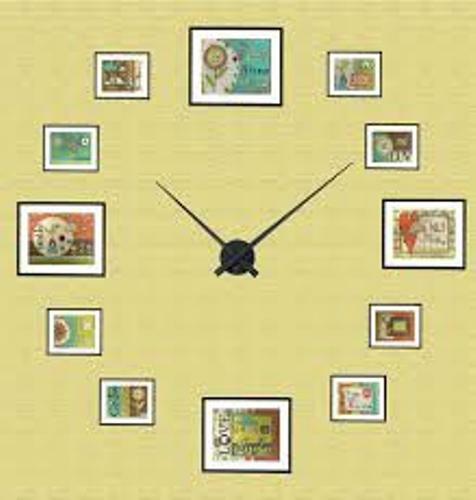 The clock is used as the center stage, while the pictures are placed on the wall in diamond shaped arrangement. There are various materials which can be used to create a clock. It can be made of metal, melamine or even plastic. If you are interested with formal and traditional look, an ornate wooden clock is perfect. Complement it with decorative hand crafted wooden framed pictures. Get ideas on how to arrange pictures around a flat screen TV here. Are you impressed after reading how to arrange pictures around a clock?